Now a day every Smartphone company want to innovate bezel-less smartphone. So finally Huawei Mobile comes world fast middle range blaze less smartphone that call Huawei Nova 2i. This device was lanced November 2017. This phone comes with 5.9 inches touchscreen with a resolution of 1080×2160 pixels. The 83% screen to body ration of the 5.9 inches Full-view Display offers a Golden 2:1 aspect ratio, The superb FHD+ resolution screen transforms social media, watching HD videos, reading eBook, playing game and more. The Huawei Nova 2i is powered by 16 nm Octa Core Kirin 659 chipset clock up to 2.36 GHz, and a 4 GB of ram and 64 GB internal memory runs multiple task efficiently. You can increase your memory via microSD card. As far as the cameras are too much pretty of Nova 2i. Huawei Nova 2i has 4 on-board cameras. 2 front facing and 2 rear camera. Two rear facing cameras use a 16 MP lens combined with 2 MP for impressive image rendering with extraordinary depth of field and professional bokeh effect. Nova 2 has 2 front facing selfie cameras feature a 13 MP lens and 2 MP lens with f/2.0, while the 1.75 micro meter 2 MP color lens captures dazzling depth of field. It’s runs with Android 7.0 and is powered by 3340 mAh non removable battery. This device support dual SIM that support Nano SIM. Connectivity option include Wi-Fi, GPS, Bluetooth,NFC, USB OTG, 3G and 4G. 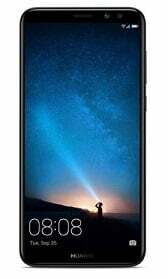 Now Huawei Nova 2i is prebook in Bangladesh with gift ( Including Bag, Smart Band, Free Data), and Huawei Nova 2i price in Bangladesh around 26,900/- BDT with 1 Year warranty. Android OS v7.0 Nougat, EMUI 5.1. Sensors – Fngerprint, Accelerometer, light, gyroscope, proximity, compass.